BLACK CHERRY - a medium sized, single to multi-stemmed tree native to the central and eastern United States. 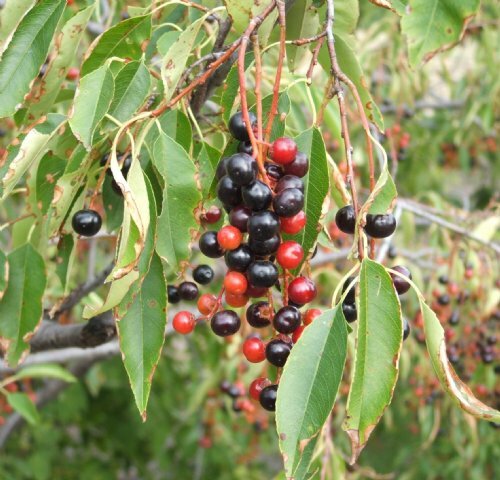 Leaves are shiny, long, and narrow, fruit is similar to chokecherry but often is more astringent in taste. May reach 25 to 50 feet in height on favorable sites. 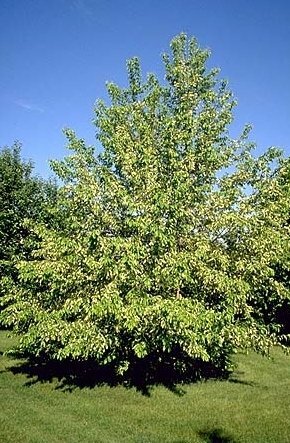 Prefers a deep, moist, well-drained soil but can tolerate drier conditions. Intolerant of high soil pH and high salt levels. 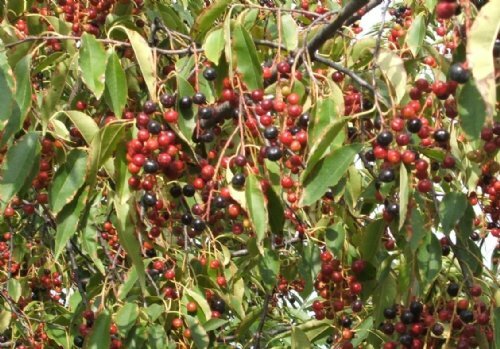 Use at least 2 trees for pollination.